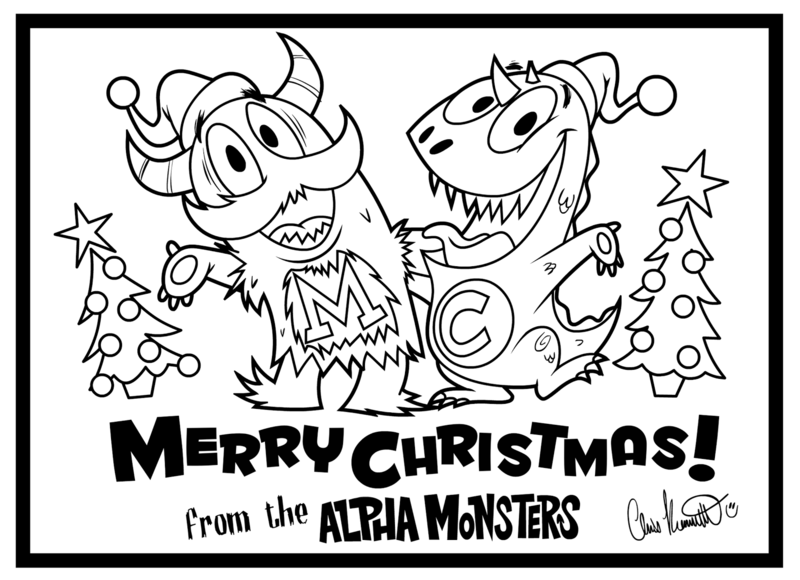 Merry Christmas from Chris and the Alpha Monsters! Have fun colouring this free picture drawn especially for you :) Feel free to spread the joy and send this to your friends. Happy Halloween everybody! 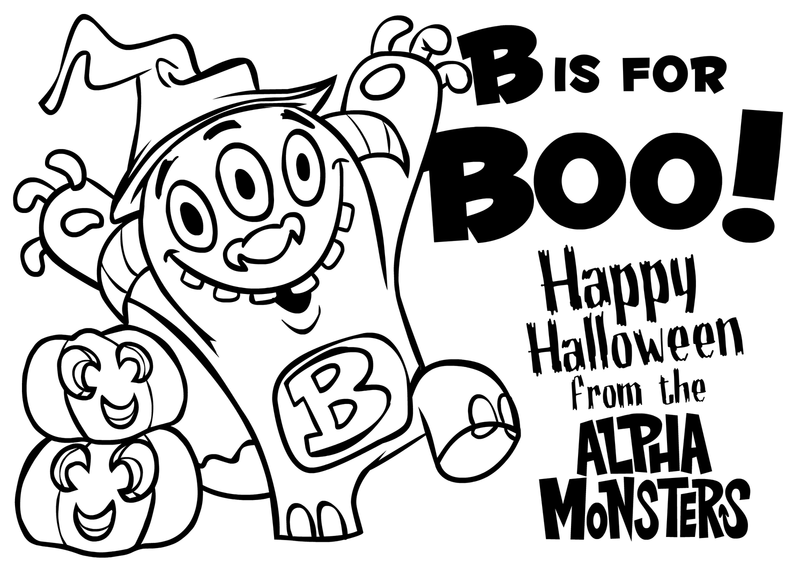 Click on the image above and print out your FREE Halloween colouring page. Ask Mum or Dad to upload to the facebook page (if they have an account) or email me a copy here. There might be a prize for my favourite!! So I received an exciting call this morning from a friend telling me that Alpha Monsters was the book of the day on Channel Ten's educational show Wurrawhy. 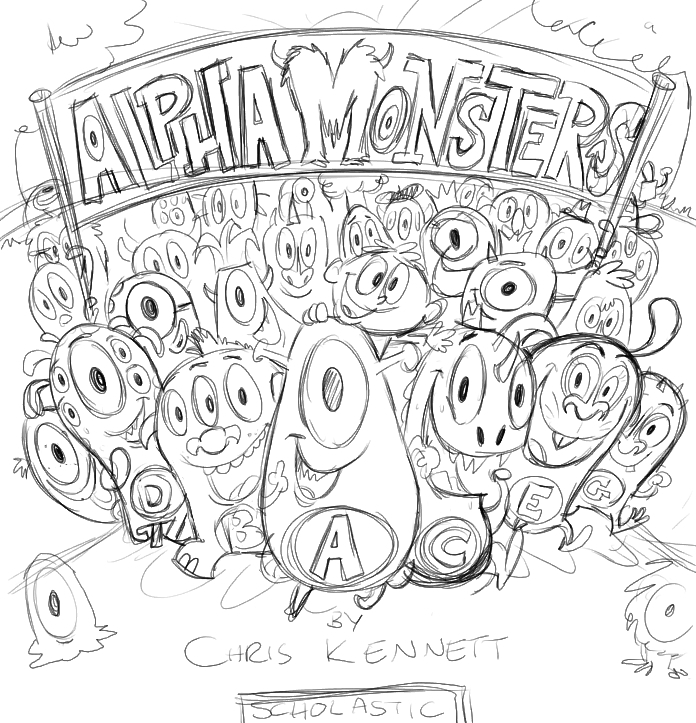 So for anybody out there who has yet to see or hear the book (particularly my overseas friends) I present to you Alpha Monsters. The story section begins at approx the 18 minute point. I also took a quick look in the school library wear they hold the Book fair and spotted my two books, and some rather nifty looking book marks! Hey Everyone, I recently answered a few questions for the Bendigo Writers Council newsletter about my experience writing Alpha Monsters. 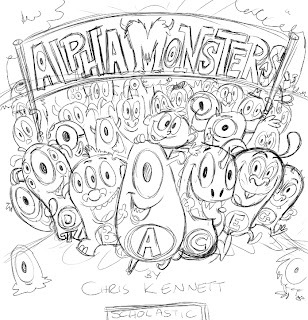 Author and illustrator of children’s picture book, Alphamonsters and illustrator of the newly released, If You’re Happy And You Know It – Aussie edition [available through scholastic, bookstores or via a link on Chris’ website athttp://crikeyboy.blogspot.com/]. Best of all this amazing talent is a local to Bendigo and he has been gracious enough to answer a few questions for the Bendigo Writers Council. What are some of the impressions so far in becoming a first time author? The biggest thing for me is just seeing my work on a book store shelf. From first approaching a publisher to the book’s release took almost 3 years. I ‘d gotten so used to seeing the artwork and text on a screen, to then see it in the flesh is something I’ll never grow tired of. Finding it listed on an online store or discovering an independent review somewhere is also great. Even seeing my name on the National Library of Australia’s database is cool! Somehow it legitimises what I’ve done. So that feels good. How has the reaction and feedback been from your book and book promotion? Everyone who has read the book has told me they (and their kids) love it. Which is just brilliant. I think the main issue though, is getting people to pick it up off the shelf, which isn’t always easy. I’ve had several back handed compliments saying “It’s much better than I expected”. Which is nice, but then you have to wonder why they went in with such low expectations? I think the fact that it revolves around the alphabet (to an extent), people think it’s going to be babyish or somehow lacking in story. But ultimately I’m glad it surprises people. I also had a really positive response to a book signing I recently did with Dymocks Bendigo. A friend and I promoted it quite heavily through Facebook and by contacting schools and kindergartens, which proved very successful. By the end of it I’d been there for three straight hours talking and signing books. It was a really great experience and I hope it’s the first of many. Promoting a new book, especially for a first time author like me, can take up a lot of your time. Which is hard when you are trying to produce other work at the same time. When you sign with a big publisher like Scholastic you are a tiny part of a much bigger machine. Of course they will help you to a point, but ultimately it’s down to me to spread the word. You also have to walk a fine line between self promotion and self appreciation. I hope I don’t stray into the latter. 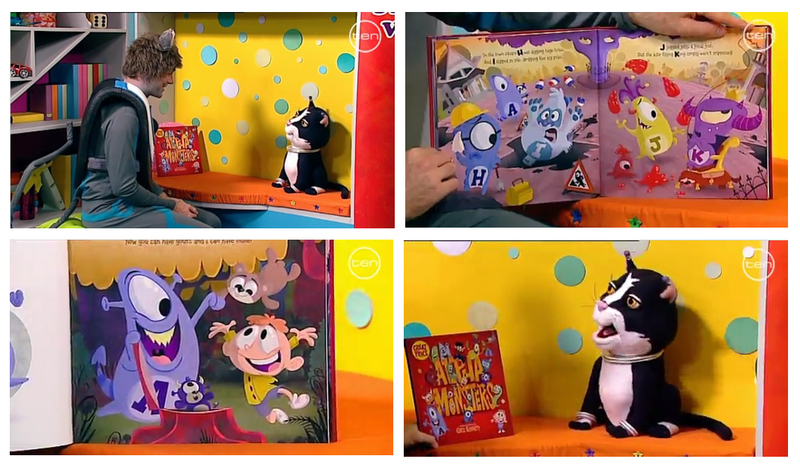 As you both wrote and illustrated your picture book, Alpha Monsters, did you invent the story or the characters first? 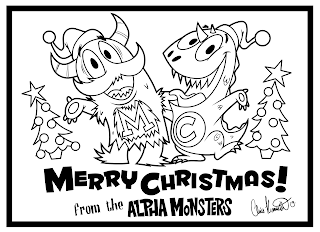 With Alpha Monsters it was definitely a case of designing the characters first. 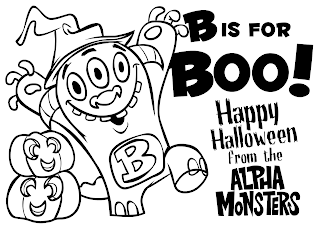 I originally designed them as Flash cards for my kids and it was a very simple “A is for Apple, B is for Ball” concept. When I first approached Scholastic there wasno story, just the basic ABC idea. It was them who asked me to flesh out the characters, create a world and build a storyline around them. Writing an engaging story with so many characters with an 800 word limit wasn’t an easy task, so it took a few attempts to get it right. With subsequent projects I’ve made a point of writing the story first. There may be a few rough character ideas at the start, but I definitely make sure the story is right before I get too bogged down in the visuals. 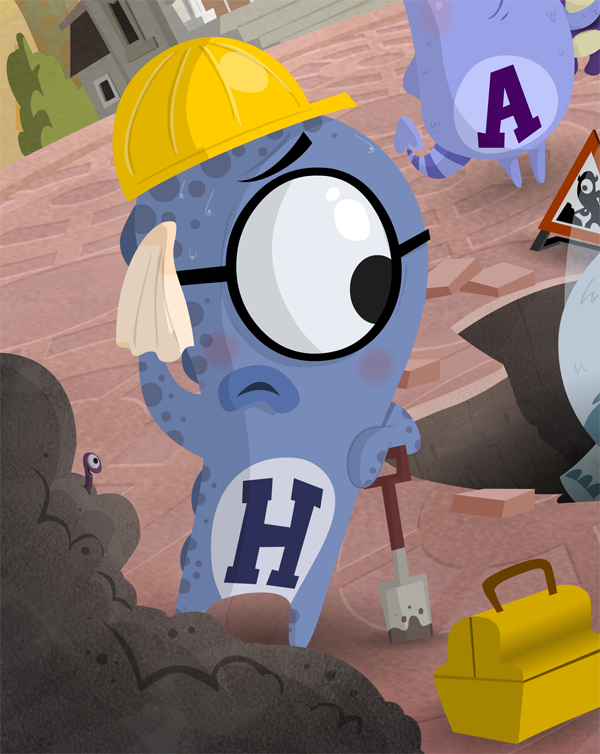 The project I worked on straight after Alpha Monsters is actually coming out in July. I provided illustrations for an “Aussie Edition” of “If you’re happy and you know it”. It’s a fairly straight reworking of the famous kids song, using Aussie animals. I road tested it on my kids and their cousins and they were jumping all over the lounge, so I think it will go down well. But in terms work in progress I’m actually working on three more picture books (all for Scholastic). The first one will be as an illustrator for another author due next Easter, and the remaining two will be my own stories. I’m really proud of both and I think kids will have a lot of fun with them. I can’t reveal specifics I’m afraid, you’ll just have to wait and see. Like many people Roald Dahl was a huge favourite growing up. The BFG was the first chapter book I remember reading alone, so he’s always been a special character for me. Have you any advice for the writers of Bendigo? I feel strange offering advice, because I certainly don’t think I know all there is to know myself. But if I were to offer up any guidance, I’d recommend a few things that have helped get me going. Firstly always write down your ideas, or if you’re like me, draw them. One of my next books was born from an idle scribble I did while watching TV one night. Get into the habit of carrying a note or sketchbook and jot down anything that comes to mind. It might seem insignificant at the time but some of those subconscious thoughts can often lead to bigger and better ideas. Get an outside opinion. We all get precious about our work, so we’re not always the best judge of what works and what doesn’t. Be prepared to hear comments you might not want to hear. In my experience though, when people make criticism it’s usually fairly spot on. So, swallow your pride and take it on the chin. Finally get yourself out there. 3 years ago I had no idea how to get a book published. In the end I grabbed an email address from the Scholastic website and just sent off an idea. My philosophy was, what have I got to lose? What’s the point of having all these ideas written down in books or stored on hard drives for no one to see? Why not just send something off and see what happens? You never know what’s around the corner. 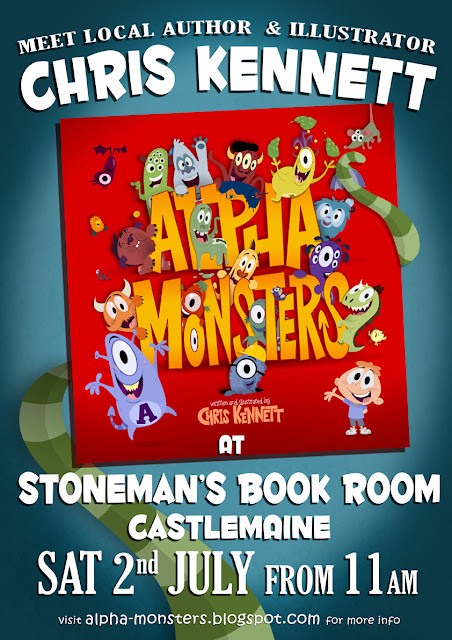 Come and join me for a signing and possibly even a reading of Alpha Monsters on Saturday 2nd July. Have a day out in the 'Maine! Published by Scholastic Australia in 2011. All text and images are copyright © Chris Kennett. Simple theme. Powered by Blogger.